** Given the blog issues I have been having lately (making it difficult to access the site at times), I wanted to inform you all that the Bestowed healthy foods box giveaway will be extended until Tuesday night, with a winner picked Wednesday morning! Don’t forget to enter here! You have probably heard me say a million times that one of the best parts about summer for me is that I get to exercise in the morning, when my energy is high and I am most motivated. Well, I took advantage of my first full week out of school and made sure I got myself to the gym every single day this week nice and early. As I said yesterday, running is not in the cards for me right now, although I have been testing the waters a little bit this week with permission from my physical therapist. Cross-training and the elliptical have become my best friends, and though I don’t feel I get the same intensity as I do when running, I am very grateful that I am able to do those activities relatively pain-free. So, here’s how my past week in fitness looked! 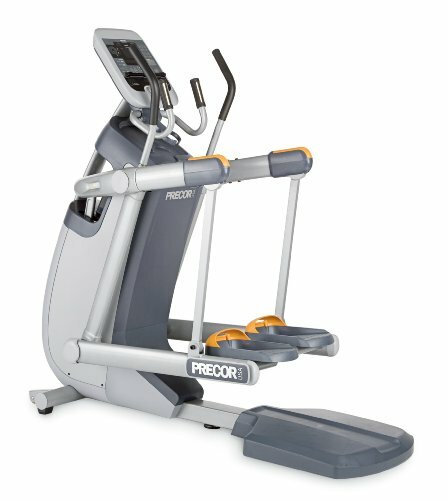 The Precor crosstrainer looks like the below image. 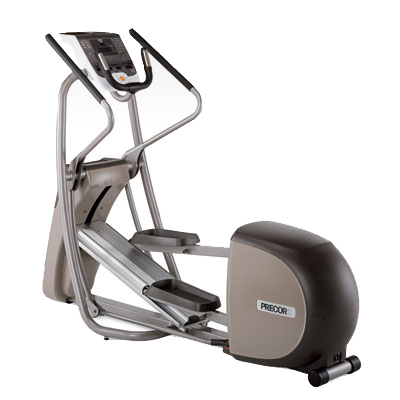 I like it because I really can feel it when I crank up both the incline and resistance. They all work your body in a slightly different manner, but for me, most importantly, they don’t hurt my joints! As far as the running experiments this week, I did so on the recommendation of my physical therapist. I didn’t want to go for distance– I just wanted to see if running hurt. Unfortunately, it did enough for me to not want to go far. The plus side was the pain didn’t linger and went away as soon as I stopped. I think I have a long road to travel on in terms of building up my running abilities right now, but being able to work out at all is a blessing! Weightlifting was also an awesome addition this week! I hit all body parts at least once, which is all I want for each week this summer. Finally, those 3ish mile outdoor walks you see in my recap are actually lovely evening strolls I take before dinner. They relax me and enable me to get out there and really enjoy the warm weather. They are certainly not heart-pumping walks, but they certainly count! I look forward to going to the gym as soon as I hit post! What was the best workout of your last week? 2 Responses to "My (Past) Week In Fitness: Best In Months"
Happy Summer, Ami! Why are you on an elimination diet again? I too have found a big change in my body with heavier activity and smarter food choices that I have time for now. I think we were made to NOT work!